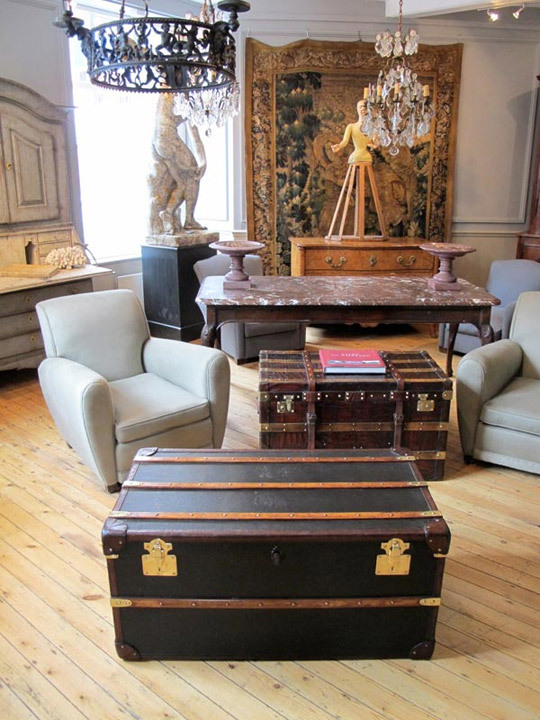 While researching some obscure luggage information, I came across an online showcase for Brownrigg, an antique store in the UK which has a great collection of vintage cases and trunks. Some highlights: a shotgun ammo case, a Hermes travel case in crocodile, and a midsize Louis Vuitton hat box. The rest of their inventory is impressive as well.